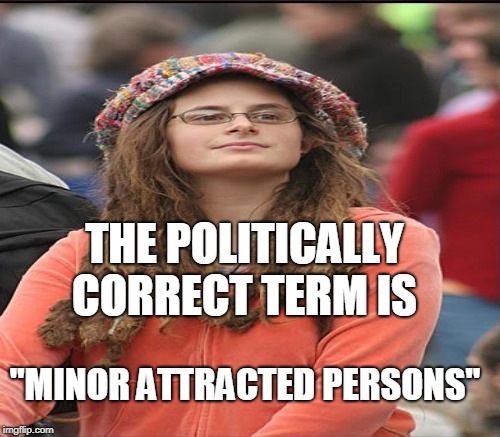 Minor Attracted Persons are a thing not a hoax. They are a real thing and want to be accepted by the lgbtq communty. 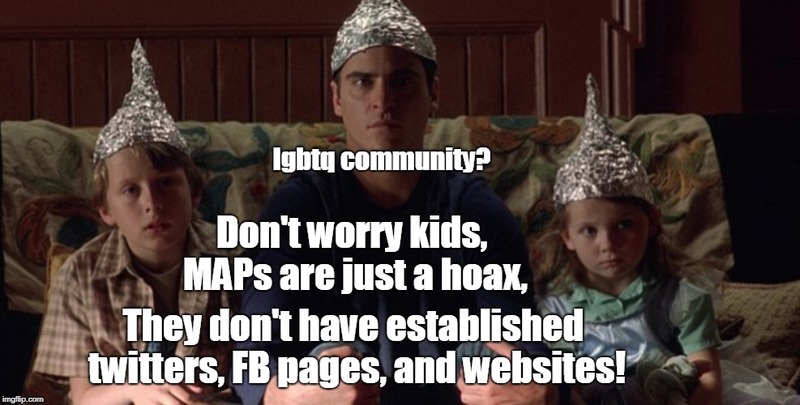 I have heard one person say "it's just a hoax to smear the lgbtq community." I heard a Ted Talk lecturer recently talk about why society should be more accepting of them. lgbtq community? Don't worry kids, MAPs are just a hoax, They don't have established twitters, FB pages, and websites!